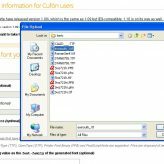 This tutorial shows how to resolve missing text issue while using Cufon generated fonts in Internet Explorer 9. 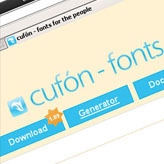 To learn more about using Cufon generated fonts please check the detailed tutorial. 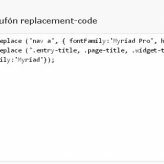 While using Cufon fonts in IE9 you can see that some text is missing. This is caused by the outdated version of Cufon script. Let’s see how to avoid this issue. Open official Cufon website at http://cufon.shoqolate.com/generate/. Click Download button from the top menu. Make sure you are downloading version 1.09i or later. Select script from the appeared screen and copy it. Now you can view your website in IE9 and it should work fine. 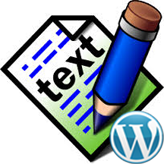 This entry was posted in Working with fonts and tagged Cufon, font, IE, missing. Bookmark the permalink. 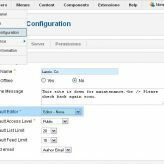 Joomla. Can’t see page content after flash block in IE. I spend a whole day struggling with this. Thank you very much. It works.